DASH 7 comes to Denver for the first time! 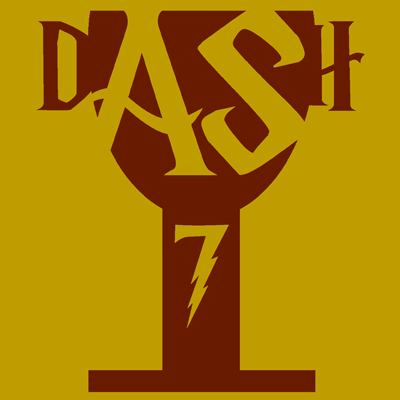 DASH is a day-long walking puzzle solving event in the heart of Lower Downtown (LoDo) in Denver. This is the first time the event is being held in Denver, so come join us in making history! If you choose to participate, you'll get to visit some fun historical spots in LoDo, all while working together as a team to solve fun and challenging puzzles! None of the puzzles are physical- you will need to think smart and fast! The checkpoints are all in LoDo and the total walking distance will be under 2 miles throughout the day. The starting and ending point will be Puzzah!, which is located at 1440 Blake Street. There are going to be many cafes/eateries along the route! DASH charges a $45 entrance fee per team. This money will go towards permits, puzzle production, and other incidentals. We recommend a team of 3-4 people. Too large a team and it becomes harder to collaborate on the puzzles; too small and having so few solvers may slow you. Also, since we charge a flat fee per team, it becomes more expensive per person with too small a team. Registration opens on April 1st 2015. Go to the DASH registration page to sign up or click here to get to the evenbrite page straight away! Each team will need an iOS7 or Android smartphone with Cluekeeper app downloaded on it to compete. Bring the usual items one would bring to a puzzle hunt (pencils, pens, eraser, ruler, scissors, glue) See FAQ on main website for more information. We'll play in any weather. If it looks particularly bad, we'll update this site with latest info on the status of Denver DASH. Interested, but can't come out on the 30th?